In 1996, at age 77, Joseph Cohen lent his business expertise to the emerging economy of Poland, helping to modernize the operations of a struggling manufacturing business and improve the quality of its products. Working alongside his Polish hosts at the company facility for over two months, Joseph’s vast business knowledge and experience helped transform this failing company into a resounding success. It’s possible that Joseph Cohen has realized more successes after the age of 65 than before. As a volunteer with the International Executive Service Corp (IESC), Joseph has represented New Orleans and the United States on a multitude of international projects, promoting stability and prosperity in developing countries by nurturing the growth of private enterprise. While his efforts have bolstered the private sector economies of many foreign nations, Joseph has helped to stimulate our local economy and job growth as well. His assistance has established many new trade networks between the United States and overseas businesses, with American equipment and materials incorporated into foreign operations. Having owned and operated a successful clothing factory for many years, Joseph Cohen was recruited by IESC management upon his retirement in 1986. From his first project in Egypt, Joseph has volunteered his expertise to 11 foreign nations. His innovative solutions have transformed failing businesses into profitable organizations, elevating the quality of life for countless employees, their families and their communities. Tearful employees have expressed their heartfelt gratitude to Joseph for saving their jobs. An avowed, hands-on manager throughout his career, Joseph demonstrates the superior effectiveness of compassionate, mentoring leadership – a revelation to foreign business managers accustomed to the traditional method of instilling fear. Now 85, Joseph continues to serve as an IESC field representative, maintaining a breathtaking pace that might exhaust the average junior executive. He embraces the founding principles of democracy and recognizes the rich opportunities available in America. He appreciates the value of education and considers it an obligation to share the lessons he has learned. More than merely dedicated, Joseph has a mission to give others the knowledge and skills they need for success. 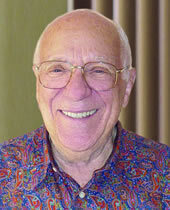 Joseph Cohen… Tenet Choices Champion.